If you are Malaysian, you would definitely know Kavitha Sidhu, a celebrity beauty-queen and actress who’s been in the headlines since the 1990s. Did you know that Kavitha Sidhu is married to an Italian? Yes, his name is Roberto Guiati, and he is the ower of LUCE – the upmarket pizza place right smack in town. 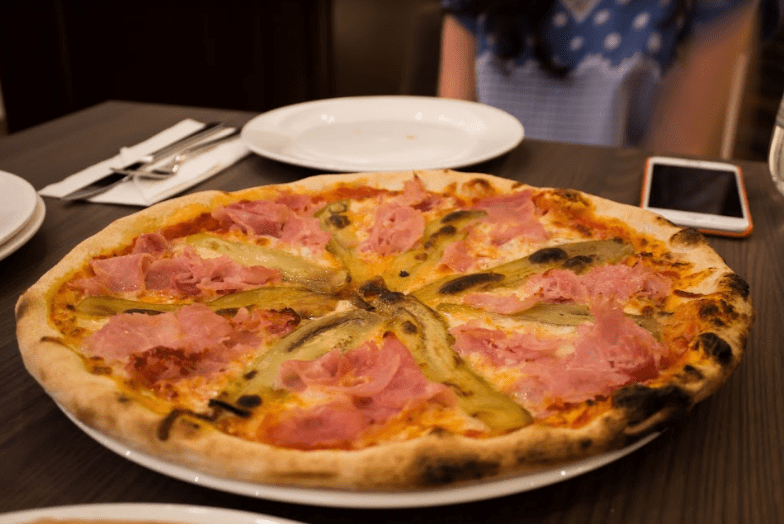 To be honest, I had heard rave reviews about LUCE and its variety of pizza but in my mind, I was always a little sceptical – I mean, could pizza ever go wrong? However, there is a vast difference between the pizzas we get from our normal pizza parlors and the pizzas served in LUCE, which now makes me wonder if we’ve been eating the delicious cheesy pan-baked delight wrong our whole lives! Roberto treated us to three different kinds of pizza: Vegetariana Pizza, Golosa Pizza and Gustosa Pizza. The first one I took a bite from was the Vegetariana, which was a thin-crust pizza (in Italy, thin crust is the way to go!) with a tomato sauce base, topped with roasted eggplant, onions, potatoes (YES, potatoes! ), cherry tomatoes, mushrooms and host of of other vegetables with a smothering of mozzarella cheese. I am not much of a vegetable person, but this pizza was surprisingly satisfying and had a sweet crunch to it, thanks to the onions and tomatoes. Next up, came the Gustosa, which was my personal favourite of the night – and which I still dream about every once in a while. Quite a simple one, with a tomato base and only two main ingredients – honey ham and roasted eggplant – and cheese, this pizza tasted out of this world simply because the flavours amalgamated so well together. The honey ham was the stuff of dreams and I think if you dare me, I could finish a whole Gustosa by myself. Actually, you don’t need to dare me, I’d do it willingly! Last but not least was the Golosa, which had a pumpkin base that was very savoury, two types of cheese toppings (mozzarella and gorgonzola) and a sprinkle of green peas, red onions and potatoes. Potatoes, again! 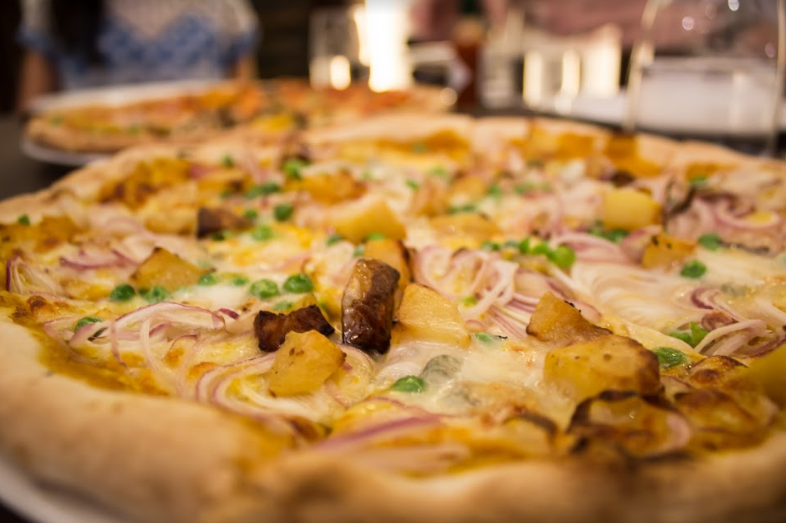 You’d be surprised to know that the starchy tuber was a wonderful addition to the pizza, providing texture and flavour to an otherwise simple dish. We really liked this one and I especially liked the pumpkin base. Genius! 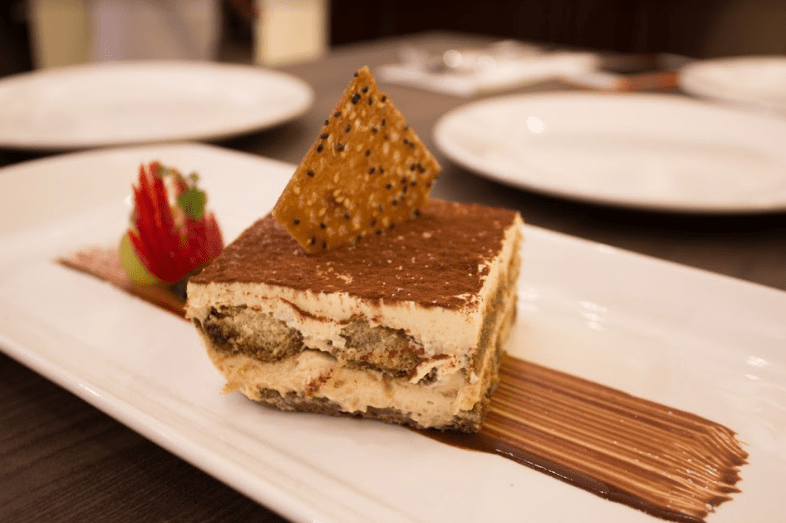 Just as we thought we were done, Roberto whipped up a mean Tiramisu for us to share and boy, was it a treat! The layers of cream and mascarpone married delightfully with the sweet liquer and espresso. 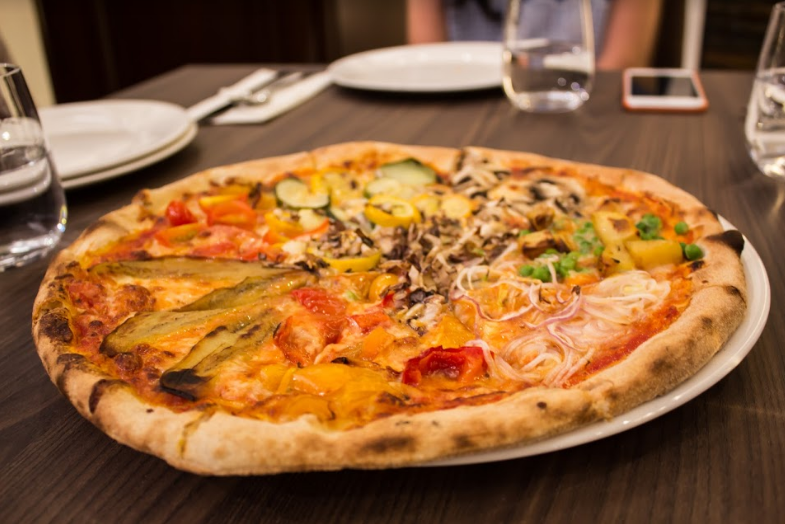 We absolutely loved it – as much as we loved rediscovering pizza at LUCE!